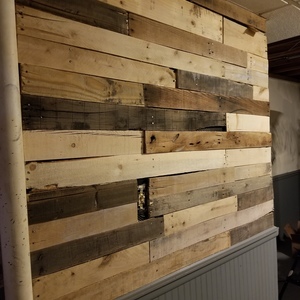 This was my first project using a saw.....I've been pretty terrified of hacking a finger off so I wanted to use tools that I could handle. 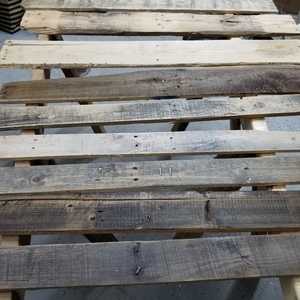 I started by taking the pallets apart using a hacksaw. Next I sanded them with a Ryobi 2.6 Amp 5 in. Random Orbital Sander and then stained them with several different stains. 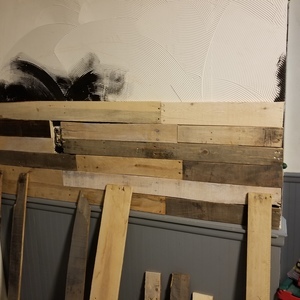 Next came adhering the planks to the wall. I have a weird texture on the wall so I using construction adhesive to set them in place. I made my cuts using the Ryobi 4.8-Amp Variable Speed Orbital Jig Saw. You nailed the rugged look!! We like it! Nice job! This was my first project using a saw.....I've been pretty terrified of hacking a finger off so I wanted to use tools that I could handle. 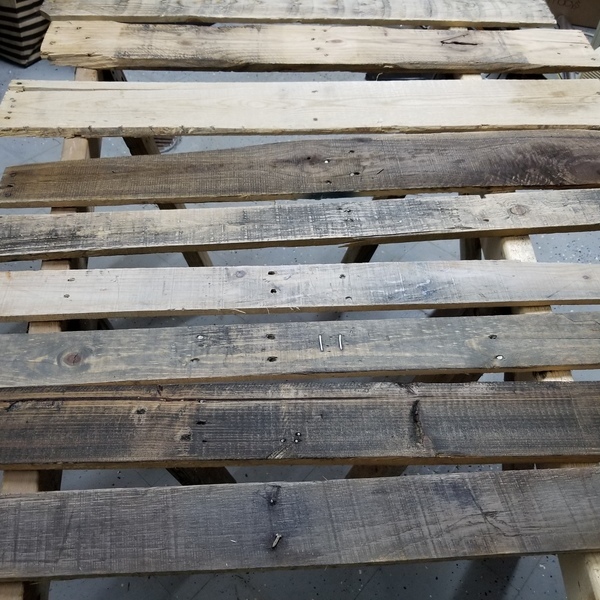 I started by taking the pallets apart using a hacksaw. Next I sanded them with a Ryobi 2.6 Amp 5 in. Random Orbital Sander and then stained them with several different stains. 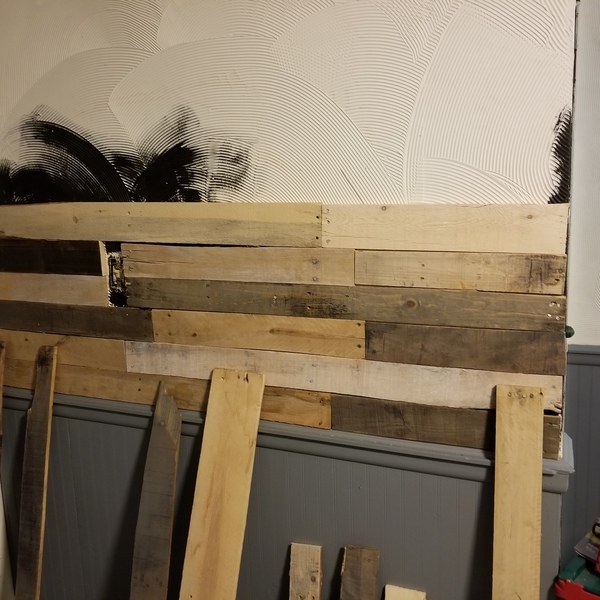 Next came adhering the planks to the wall. I have a weird texture on the wall so I using construction adhesive to set them in place. I made my cuts using the Ryobi 4.8-Amp Variable Speed Orbital Jig Saw.